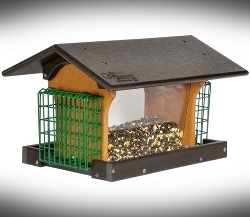 Let the birds eat and play in your backyard! 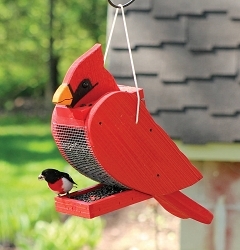 A kinetic bird feeder with a Ferris Wheel design that spins while feeding the birds! Includes five feeding baskets that are easy to fill and clean! 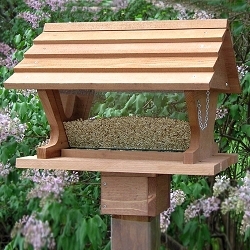 A novel new way to feed and enjoy your backyard birds! Absolutely the coolest bird feeder ever, this Kinetic Ferris Wheel bird feeder spins around while feeding a dozen birds at once. 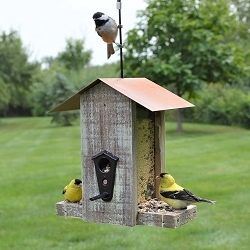 Combining the love of gardening and bird watching, you will love this fun and functional bird feeder! 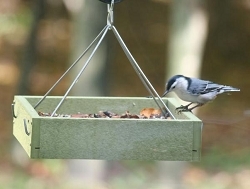 Grab your bird watching binoculars and get ready for serious backyard fun! 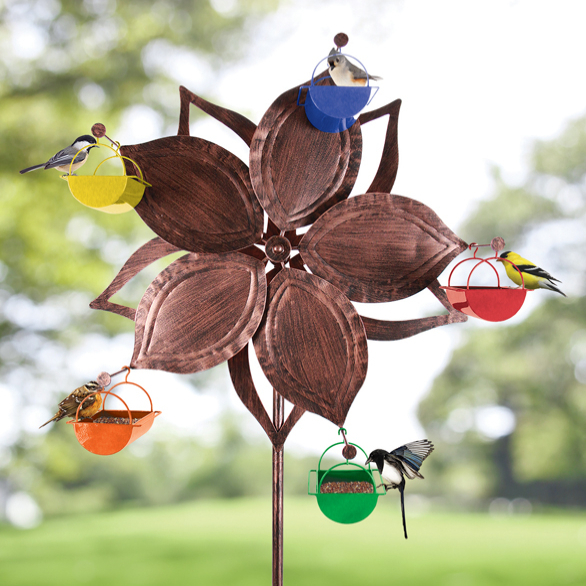 The high-quality single wheel flower design is enhanced with 5 colorful swinging feeder baskets, but the best part is watching the birds eat and play on them! When the curious birds land on the feeding baskets to snack, the weight of the birds start this elegant Ferris wheel spinning. The entire wheel is evenly balanced so it starts to spin very slowly and does not scare the birds off when they land on it. The birds get so involved in the seed that they barely notice the ride they're about to take. 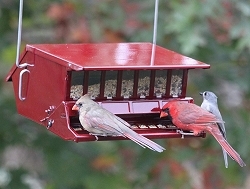 The dual-sided baskets allow many birds to perch at the same time, and the added birds make this feeder even more fun to watch! 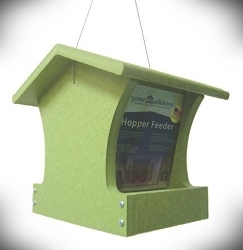 As this Ferris Feeder smoothly rotates left or right, the baskets gently rock back and forth, and before you know it, there's a hilarious carnival happening right in your garden, and you'll see, all the birds will want a ride! You will absolutely LOVE watching this Ferris Wheel Bird Feeder come alive as the birds eat and play in your backyard - whimsical and fun for all! 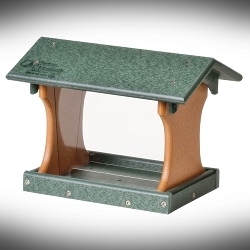 * The MOST EXCITING birding & gardening gift EVER!